A charge that has the “Domestic Violence” (DV) designation means that the State is also alleging that the offense was committed by one family or household member committed against another. RCW 10.99.020(5). The DV designation can have dramatic impact on clients. It can result in enhanced penalties and additional restrictions. 2 years for a gross misdemeanor offense. On April 1, 2010, Governor Christine Gregoire signed a bill that dramatically increased the penalties for certain defendants convicted of domestic violence offenses. After August 11, 2011, defendants who have been previously convicted of a domestic violence offense will face enhanced penalties for subsequent convictions. The law authorizes “multipliers;” meaning that certain prior DV offenses will score as two point and thus increase the overall sentence. As a defense attorney, I have handled every type of domestic violence case: from Assault in the Fourth Degree to Assault in the First Degree. I have gotten tremendous results for my clients (including cases dismissed). When I was at the King County Prosecutor’s Office, I spent two years handling DV cases exclusively. 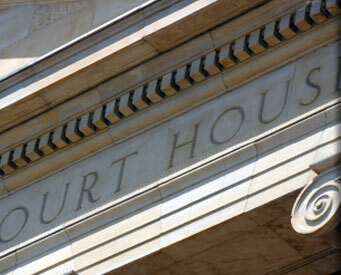 I know the issues in DV cases and am well equipped to provide effective representation. Violation of a Domestic Violence No Contact Court – RCW 26.50.110.
v.	A provision of a foreign protection order specifically indicating that a violation will be a crime. 4. Any ASSAULT that is a violation of an order… that does not amount to assault in the first or second degree is a class C felony, and any conduct in violation of such an order that is reckless and creates a substantial risk of death or serious physical injury to another person is a class C felony. 5. A violation of a court order… is a class C felony if the offender has AT LEAST TWO PREVIOUS CONVICTIONS for violating the provisions of an order…. The previous convictions may involve the same victim or other victims specifically protected by the orders the offender violated. An offender score of zero establishes a range of 6 to 12 months in jail. An offender score of nine establishes a sentence of 60 months in prison. For a conviction of Misdemeanor Violation of the Domestic Violence Court Order, the maximum penalty is 365 days in jail and a $5000 fine. The sentencing judge is not required to impose a minimum sentence. 2. (a) Except as provided in (b) of this subsection, a person who harasses another is guilty of a GROSS MISDEMEANOR. ii. The person harasses another person under subsection (1)(a)(i) of this section by threatening to kill the person threatened or any other person. THREAT means to communicate, directly or indirectly, the intent to cause bodily injury in the future to the person threatened. To be a threat, a statement or act must occur in a context or under such circumstances where a reasonable person, in the position of the speaker, would foresee that the statement or act would be interpreted as a serious expression of intention to carry out the threat rather than as something said in jest or idle talk. SENTENCING RANGE for a felony offense is set by the legislature. The range accounts for the person’s criminal history, other current offenses and whether they were on under the supervision of the Department of Corrections. The person’s offender score will determine applicable range. An offender score of nine establishes a sentence of 51 months to 60 months in prison. For a conviction of Misdemeanor Harassment, the maximum penalty is 365 days in jail and a $5000 fine. The sentencing judge is not required to impose a minimum sentence. Interfering with the Reporting of Domestic Violence - RCW 9A.36.150. b. Prevents or attempts to prevent the victim of or a witness to that domestic violence crime from calling a 911 emergency communication system, obtaining medical assistance, or making a report to any law enforcement official. 2. Commission of a crime of domestic violence under subsection (1) of this section is a necessary element of the crime of interfering with the reporting of domestic violence. 3. Interference with the reporting of domestic violence is a gross misdemeanor. For a conviction of Interfering with the Reporting of Domestic Violence, the maximum penalty is 365 days in jail and a $5000 fine. The sentencing judge is not required to impose a minimum sentence.